Unrealised Ambitions!! | Random Indites ! She had been sitting on the reclining chair in the porch for quite some time now. From here, it was a narrow path of about 20 metres to the small iron gate. There were some big birch trees around the house and untamed grass on either side of the path. The garden showed signs of neglect, the flowering plants wilting and dead leaves rustling in the ground. 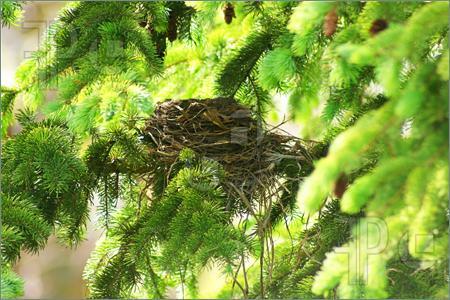 There was an empty bird’s nest on the branch of a tree close to the porch. Though which bird it was, she couldn’t be sure. There were eggshells at the feet of the tree, bearing testimony to the fact that tiny birds had been born here and had flown away in search of their destinies. She thought about her destiny and her dreams and all the passion she had in an earlier life…..
She was an enthusiast, with passion and energy flowing through all her pores. She was a dreamer, but also a go-getter. She had big plans for her life from the time she could spell ‘life’. She pursued her interests with dogged determination, with ambitions of becoming an architect someday and change the way people lived. She wanted to design entire cities and be proud in her achievements. After she completed her studies, she joined a reputed architectural company. This was the first step towards achieving her dreams and she was full of excitement and joy. Her parents were proud of her, and her brother had already taken her autographed crafts to sell them for millions when she would become famous. How naughty he was! And funny too! Her first week at the office was hectic. Mostly to do with bringing coffee for her boss and attending brain-storming sessions for the clients and taking notes while watching the masters at play. Sometimes it was humiliating the way they treated her, but she didn’t mind. This was just one step towards the journey of fulfilling her ambitions. Time passed and weeks turned into months. Her boss resigned, and a new guy came in his place. Edmund was his name. She was scared that she might be fired and the new guy might get his own team, but thank god she was retained. Edmund was such a smooth talker. He made her feel as if everything in life was easy. He inspired her to share her ideas with him and she felt emboldened when he praised her originality. There was a new project proposal coming up and she enquired Edmund if she could venture her ideas in the brainstorming session with the clients? He looked blue, but he replied in a hearty affirmative. She didn’t understand his look. She liked him. Oh! stow that! She loved him. Did he love her too? Maybe that’s why he looked so blue. Maybe he is thinking she would leave once she succeeds. But she wouldn’t. She would tell him that she loved him. After the BS session. The session was to start at 11AM on Monday. She woke up early, did her 4 mile run, showered, made breakfast and ate it. Then she stood in front of the mirror rehearsing her speech, her walk around the board room, her gestures and expressions. At 10AM, she left for office. It took her 45 mins to reach at that peak rush hour. Once there, she found her entire team to be missing from their seats. She peeked into Edmund’s cabin. He wasn’t there too. She ran into the board room, thinking they might be doing some preparatory discussions. She opened the door to join in. But wait! What’s going on! Edmund was explaining stuff to the clients with sketches and diagrams. Her sketches and diagrams! He rebuffed her for being late and asked her to get out. Why wasn’t she informed of the change in schedule? Did she miss a text message? No, she didn’t. What’s happening? She waited for 45 more minutes. Finally everyone came out, and from the looks of joy and excitement on everyone’s face, she realised they had won the deal. She decided she is going to ask Edmund why she wasn’t informed of the change in timings. Afterall, he had her to thank as it was her idea and sketches which got them the deal. Edmund gestured her to appear in his cabin. She came and started asking about the timings, when he cut her off saying that she was fired. Fired?? How could she be fired for no fault of her’s? She screamed and cried and told him that this was her only chance when he said that he didn’t want lazy people either in his company or in the industry. He told her he was going to bar her from any architecture company. Her world was crumbling around her. He called security and she was led out of the office. She didn’t talk to anybody that night. Just cried herself to sleep. Next day she called her brother and told him what had happened. He said he was going to come to her right away. It was a one hour drive. She was waiting to hear the bell ring to open the door to her brother. 2 hours passed away. No ring. Finally she picked up the phone and called her brother’s number. After several rings, a stranger picked up the phone and said that there had been an accident and the guy whose car and mobile phone it was, had died. She let the phone drop on the floor. It has been four years since the accident. She is back at the house where she grew up. Her mother had passed away a year ago pining her son’s death. Her father disappears for weeks or months. She doesn’t know where to. She just sits in the porch most of the time, looking at the trees and the iron gate and the remaining twigs of a once beautiful nest!